The seed of the idea for Polson to host a film festival grew out in part from the Envision Polson! Year-Round Committee, a group formed under the Greater Polson Community Foundation, whose mission is to offer events and activities to the Greater Polson community and visitors alike on a year-round basis. 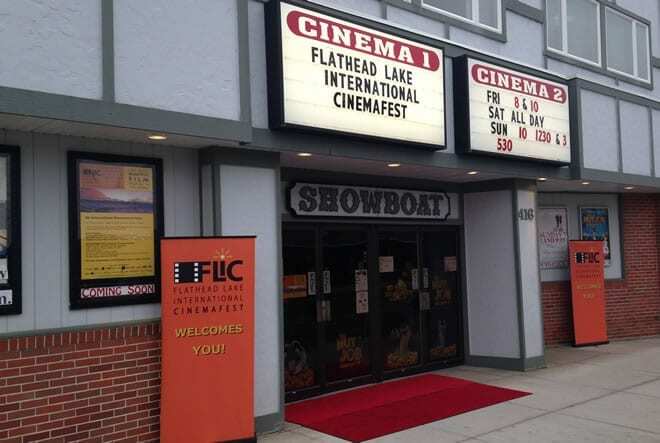 A Film Festival committee spun off from the Year-Round Committee in January to form what is now known as the Flathead Lake International Cinemafest (FLIC). In conjunction with FLIC, the committee created a junior competition for students 22 years and under aptly named FLIC Jr.
Polson, Montana is FLIC’s hometown and gracious host. Polson, which borders the west side of the Mission Mountain Range, is nestled at the base of beautiful Flathead Lake, the largest freshwater lake West of the Mississippi. The charming town, with a population of about 4,750, lies within the boundaries of the Flathead Indian Reservation, home of the Salish, Kootenai and Pend d’Oreille tribes. Some FLIC attendees arrive early or leave late to take to the ski slopes of several nearby ski resorts, including Blacktail and Whitefish Mountain.